The Community Kitchen Welcomes You. The Community Kitchen Inc. Provides Healthy And Nutritious Hot Meals, Take-Home Food Boxes, Advocacy And Education To Low And Moderate Income Men, Women And Families With Children In The Monadnock Region. Each year we have wonderful individuals and organizations who create a fundraiser or food drive for The Community Kitchen. Click the button to learn how to create one of your own. There is an abundance of local gardens that offer fresh produce every summer to The Community Kitchen. We always need volunteers to help glean the vegetables. Learn how by clicking the button below. Volunteers are one of the most important parts of running The Community Kitchen. 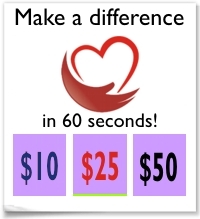 Click the button to learn how to become a volunteer. The Community Kitchen, Inc. (TCK) of Keene NH implemented its gleaning program in July of 2013. The gleaning program is one of six regional gleaning programs supported by NH Gleans, part of the University of New Hampshire’s Farm to School program. TCK’s local program provides a year-round, 30-hours per week for Sarah Harpster, the Gleaning Coordinator, covering the area of Cheshire County, NH. The mission of the gleaning coordinator is principally to capture fresh, locally grown produce which is at risk of being wasted, usually due to overproduction for the market. In Cheshire County, an active food movement has greatly enhanced the local gleaning program. Many local businesses and organizations grew produce specifically for the purpose of donating it to the charitable food system. All People In The Monadnock Region Are Able To Provide Healthy Nutritious Food For Themselves And Their Families. We couldn't do it without their help!